Heaton House Farm is a beautifully rustic barn providing guests with a touch of class and luxury and a very warm welcome from this family-run business. 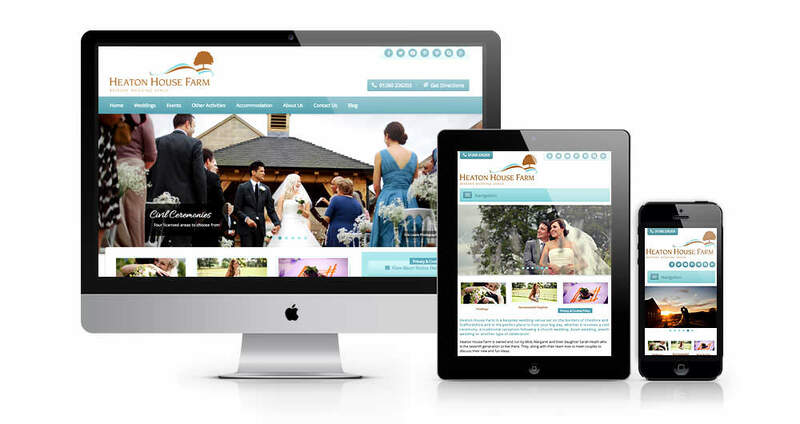 A wedding venue, set in stunning grounds, on the border of Cheshire and Staffordshire – this elegant and charming farm required a website to showcase it’s splendid accommodation, event planning and hospitality. We used WordPress and created a responsive site that stands out from it’s competitors.